As you know, I am editing CW’s previously unpublished play, The Chapel of the Thorn, for publication by Apocryphile Press. To whet your appetite, here is the first 10% of the play. I encourage you to leave comments about the story, the characters, the poetry, the ideas, or anything else (as far as you can tell from this selection). I will mull over your thoughts as I write my introductory essay. Enjoy! I come not to send peace but a sword. . .
Men and Women of the village and township; Monks; Forest-men; Lords, Spearmen, and others of the King’s train. The Chapel of the Holy Thorn is built between the high-road and the edge of a sea-cliff. To the southward this road descends to a fishing-village on the lower shore; to the northward it follows the curve of the coast as far as the capital city. In front of the Chapel two other paths also meet; one, from the north-west, comes directly through the hills from the capital; the other, from the south-west, connects the Chapel with the newly-built monastery of Saint Cyprian. In the open space at the meeting of these four roads the action of the poem takes place. The ground is steep and rough; beyond the Chapel, which is an old and small building, can be seen the edge of the cliff. The sound of the sea is continually heard. The first act passes in the late afternoon on the vigil of the feast of St. Cyprian; the second in the morning of the feast. The weather is dull and stormy. A woman and two men of the village are standing in front of the Chapel. The First Man: Take heed, lest evil things be come abroad. The Second Man: While yet the candles be alight, go pray. Keep bad spirits far from men’s tombs. If thou canst hope aught helpful from his god. The Woman: My mother came, and I come. The First Man: Well, good chance Be with thy prayers! Spells on the wood-witch till she heal thy son. The Woman: He had a mother. She goes in to the Chapel. The Second Man: Will her son live? The Second Man: What, is it pestilence? In a night and day-dawn: this is not the plague. . .
Clean-skinned, not much a talker, diligent. Is frowned on, and shall soon be brought to end. To wrangling lips, and hard, lean arms and hands? Know not what thing ’tis to keep house with one. When comes your toll of labour round once more? For a crown and that work done on my behoof. And we would talk of bargaining. Gregory comes in from the town-road. Brothers: are ye bent town-ward? The First Man: Aye; and thou? And set monks in this Chapel. The Second Man: By the hight of Druhild, none shall wall it round. Built over the tomb an alter to his god. And ye to all our village-men give word. They cannot build walls in a single sun. The two men go out: Michael comes down from the Chapel. When first thou hadst thy lesson. Hast forgot? Gregory: Must I speak then—benedicite? Michael: Benedicite! pax tecum Domini! Gregory: Where is the priest? Michael: In the Chapel! where else, he? Gregory: How long in the Chapel shall he watch the Thorn? Hasten the hands of my lord Abbot then! Thus? thou wilt yield the Thorn up, and not fight? Michael: Fight! will the village-men dare fight the monks? Joachim is too old, but I will fight! I will fight—I will not fast and watch the Thorn. In due time, if I fast and watch the Thorn! If thereof thou be weary even now? Hast thou gone over the sea to cities? Blessed saints! What have these old men done with life? Gregory: Yea so? What matter have those lands to show? Michael: What matter? what to show? All men and things! And broideries so rich—all men! all things! . . . 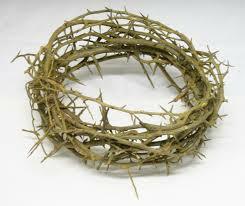 Were told when he brought offerings to the Thorn. Gregory: Aye, aye: he is young. In spite of him or my lord Abbot. Michael: Priest! . . .
Over the sea and drove them out? Amael descends from the hill-path. Amael: Hail, in the name of the gods! Or even by now have ye forgot the gods? Minstrels, and priests of ancient things. Get hence. Even while his sword swung over Constantine. Gregory: Are then thy gods so utterly cast down? Are angry with their servants. Shalt do a work that other bards may sing. Amael: What wilt thou do? wilt thou burn up the Thorn? As ere the bards were driven forth. Michael: And therefore will ye fight . . . But Joachim deems you zealous for God’s Thorn! Save if a man dare speak them he is slain . . .
Fight for the tomb of Druhild of the Trees. But in their hearts remember as they will. Keeps Joachim still the wardship of the Thorn? Gregory: Aye, with young Michael here for acolyte. Amael: Grows he not old? In the great plague, last followers of his creed. Or his limbs weaken because theirs are still? Gregory: Nay, yet their hands pluck at him from their grave. Amael: How many years have passed since they two died? Hath built a convent for his thanks to God. Michael: That is the white Christ . . . who hath given him power. Amael: This man hath served your white Christ long enough. This entry was posted in Book Summaries and tagged Chapel of the Thorn, plays, works. Bookmark the permalink.